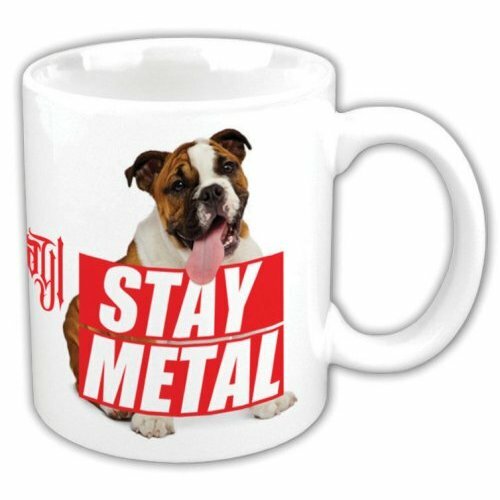 Mug featuring the band's logo and Dog graphic with text reading "Stay Metal". Gift packaged in coordinated box. White colourway.